Just how smart are you? When you’re finished in the kitchen, test your knowledge with QuizUp, a game show style app. — It will keep you up nights competing on topics in every category imaginable. And here’s a question I’m sure you’ll want to answer: What do you get when you combine Japanese and Chinese flavors with fish? Mix miso and hoisin sauce, then coat the fish with the pan Asian marinade. Cover and marinate from 30 minutes to several hours. 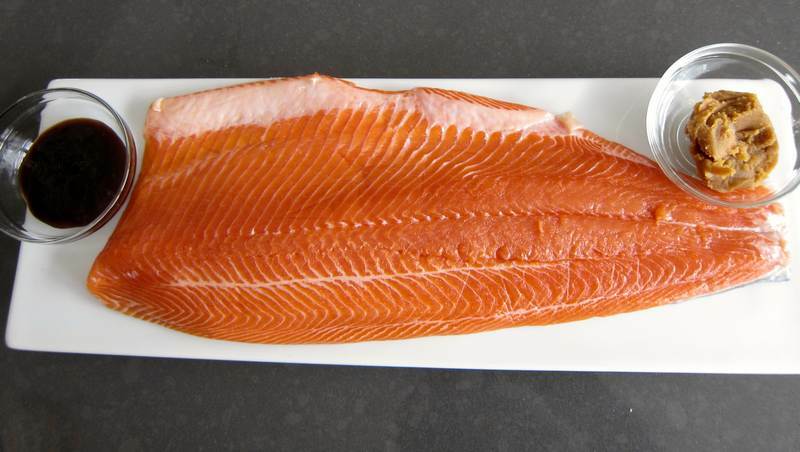 Preheat oven to 420F and roast the salmon trout for about 10 minutes, using foil to cover thinner parts once they are cooked. Check for doneness after 8 minutes by cutting down the center lengthwise. Serves 6. In a large pan, heat oil, then sauté scallion, garlic and ginger for a minute. 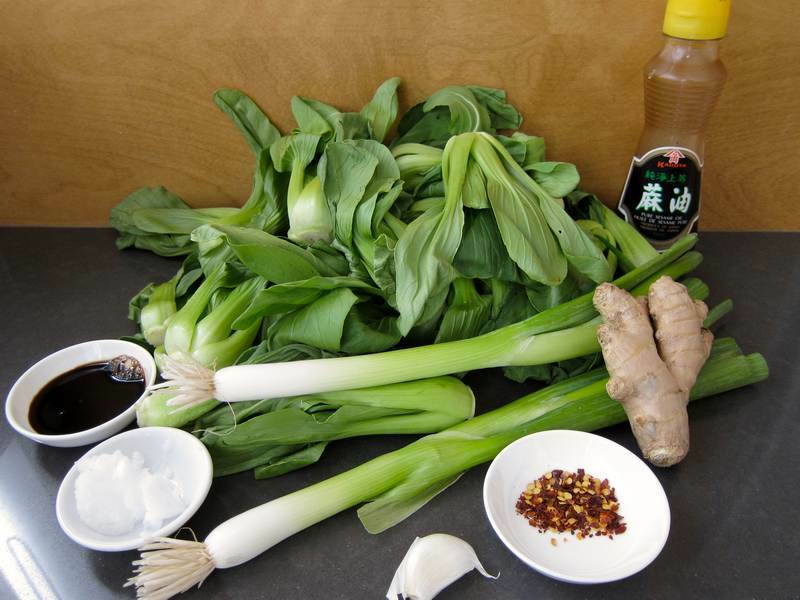 Add bok choy, pepper flakes and soy sauce and cook covered, stirring once or twice, for 4 minutes. Serve with Hoisin Miso Salmon Trout. Thanks to my friend, Susan Martin, for sharing the Hoisin Miso Salmon Trout with Baby Bok Choy recipe. Susan is one of my go-to recipe whisperers. Check out how One Hungry Mama makes her own Hoisin Sauce in just 7 minutes. Maybe you’re not in the mood to stay home and cook. Head on over to Keung Kee and order the Salt and Pepper Fish. It’s just one of the delicious menu items. 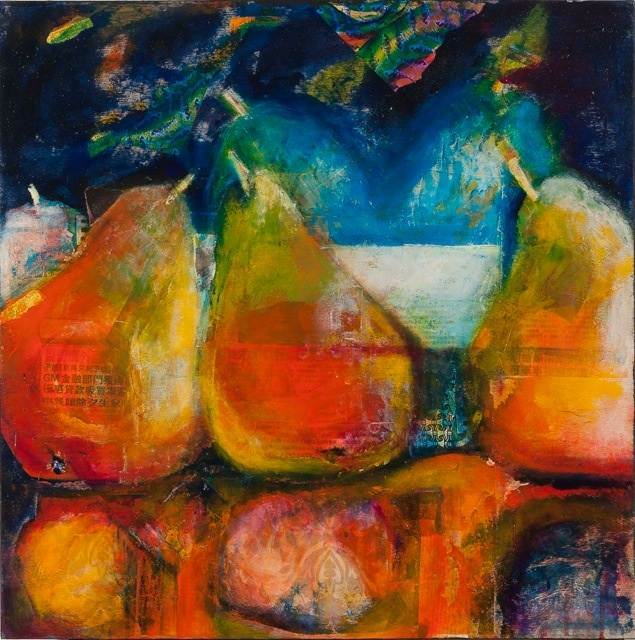 And speaking of food, have you seen Peggy Ann Turner’s Fresh Impressions exhibition?‘ Contact [email protected] to arrange a visit to her studio/gallery. Can’t wait to try this. I have the ingredients ready to go. Wow! Talk about prepared! Let me know how it goes. I LOVED this recipe. It’s going on my list of regulars for sure. So easy and good! Thanks for liking Sonia!